Simmons Whitetail Trail Camera Review: Worth your money? 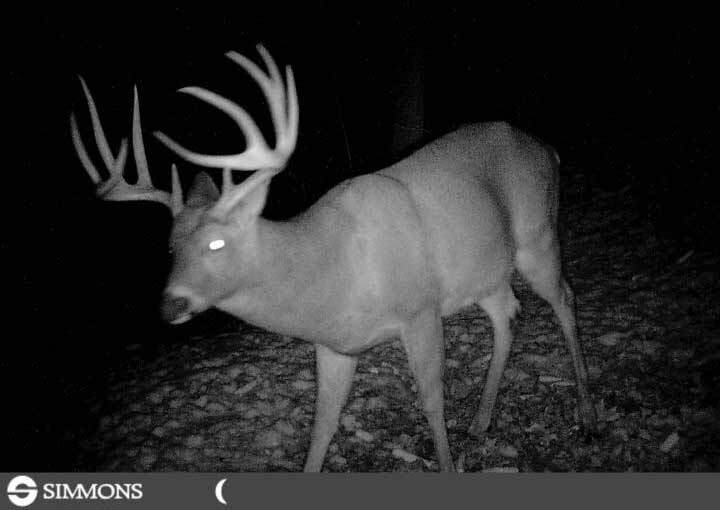 The Simmons Whitetail Trail Camera with Night Vision is among the most affordable in the market of trail cameras. Thanks to the years of research and innovation, this camera has become popular model because it is packed with a lot of features that are similar with those in expensive cameras. This trail camera has a powerful 4 MP resolution which produces clear and good quality photos and videos. This camera is also easy to set up. You no longer have to go through the hassle of reading the instruction manual. It is very user-friendly that connecting the parts is such a breeze. There is no need for you to spend too much time on it. 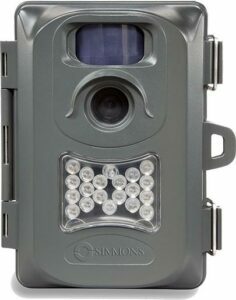 The Simmons Whitetail Trail Camera comes with an “Infrared Night Vision,” a popular standard in scouting because it does not scare away the target. It has state-of-the-art low glow LEDs that can work up to a range of 30 ft. With this, you are able to capture the movements of the animals even at night without disturbing and frightening them. The motion activated sensor present in this camera also helps in taking shots of the movements of the game. Even if the target is moving, you will still be able to capture it. The motion-activated PIR covers a range up to 25 ft. This camera allows you to expand the memory by inserting up to 32 GB external SD card. You no longer need to worry about having to transfer the photos all the time. Now you can take hundreds of photos without worrying about exhausting the memory of the camera. The photos are also stamped with details such as the date and time that it was taken. This helps you recall when the picture was taken. There are a few minor setbacks for this camera though. One of them is that there seems to be a slight delay with the motion sensor. It takes a second or two to recover which is enough time for the subject to move. This camera also consumes more power because of the features and functionalities it offers. You may need to use powerful batteries such as lithium in order to address this issue. The picture quality also decreases especially if the subject is nearing the range limit. The nearer the subject, the better the quality of the photo will be. You may need to move your camera closer to capture it in a better quality. Also, avoid putting the game camera under canopy to prevent the light from being blocked out. These setbacks, however, are just minor and are still made up by the many features that this camera offers. These detriments can also be solved. Just do some minor adjustments and you are all good to go. All in all, the Simmons Whitetail Trail Camera is an amazing offer that is sure to give you an exhilarating scouting experience. Get a combination of great features at a budget-friendly price. Copmared to other models in the same price range, you will certainly get more value than what you pay for.